Montpezat inclined plane allows the operator of the hydroelectric power plant to have a direct access to the power generators located underground, way below the plant level. It is located next to a ramp used to raise and lower heavy equipment and components. 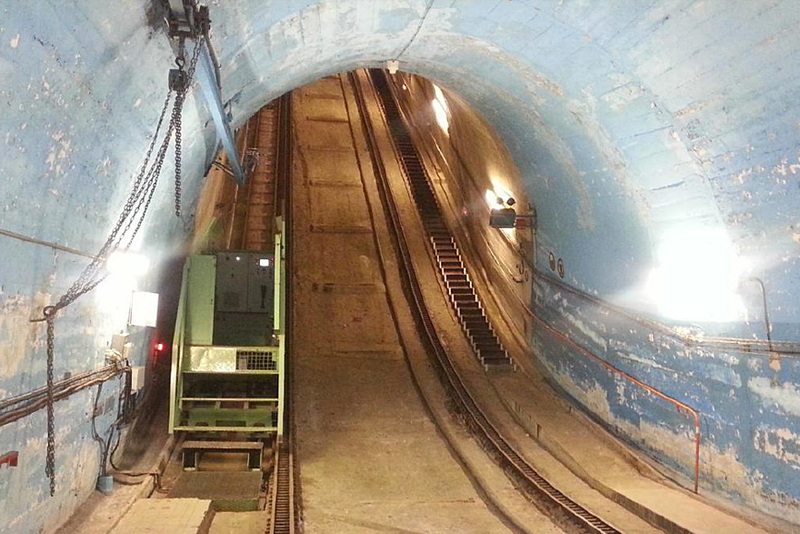 Before the construction of the power plant in the 1950s, the funicular did not exist and it was the ramp that was used with a cabin mounted in front of the equipment linked to a haulage rope… An accident led the operator to separate the two functions. 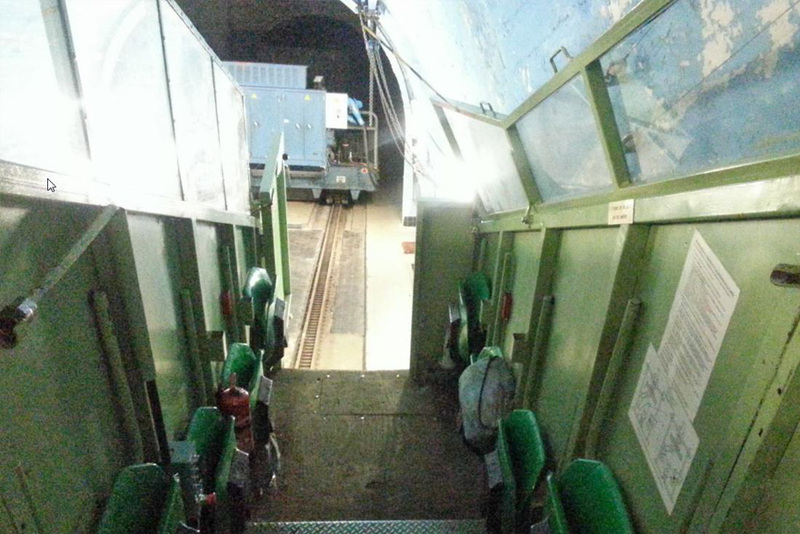 The employees can board on the inclined plane at two different stations in the upper part of the track.